Do you have what it takes to become Most Wanted? 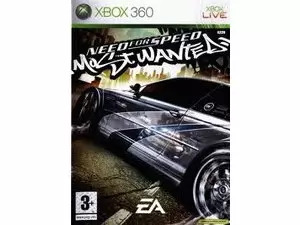 Designed for a new, more connected generation of racing fans, Need for Speed Most Wanted offers players an expansive open world packed with exhilarating action where they can choose their own path to become the Most Wanted. Disclaimer : Need for Speed Most Wanted price in Pakistan is updated on daily basis and rate/price for Need for Speed Most Wanted is valid for all cities of Pakistan included Islamabad, Rawalpindi, Lahore, Karachi, Faisalabad, Peshawar, Sialkot, Quetta etc. Need for Speed Most Wanted price depends on many factors thats include the price of dollors, manufacturar price and import cost and duties etc. Our team entered specs from diffrent resources and not responsible for any typo error in specs for Need for Speed Most Wanted, please report any such error in bug report panel for Need for Speed Most Wanted. Need for Speed Most Wanted price in Pakistan.